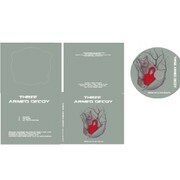 "Our band Three Armed Decoy were looking for a design for our debut EP. We felt that MYNAMENUGRAHA's design best suited our brand of music. NUGRAHA is an extremely talented and hardworking designer. He created a wonderful design which caught our eye ..."